Unistrasi (Università per Stranieri di Siena or University for Foreigners of Siena) is a public university involved both in teaching Italian as a foreign language and in scientific research activities concerning the diffusion of the Italian language and culture all over the world. 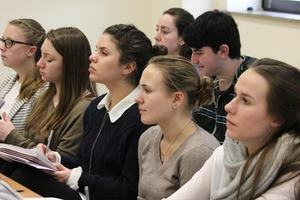 Unistrasi has widened its range of educational activities and enlarged its student body – from students who attend the Italian language courses to students involved in undergraduate, graduate, postgraduate and PhD degree programs. Unistrasi is a meeting point where you can encounter languages and cultures from all over the world and learn about different multicultural realities. 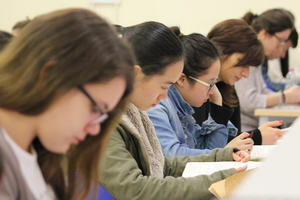 The Italian language and culture courses are intended for foreigners, who may also sit the Certificate of Italian as a Foreign Language (CILS) exams. 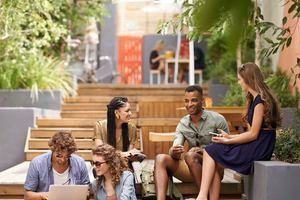 In addition to Italian for foreigners, several languages are offered in degree courses, including English, French, German, Spanish, Chinese, Arabic, Japanese and Russian. 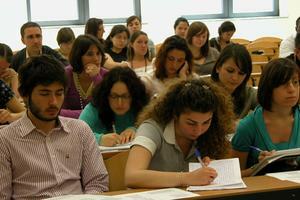 Unistrasi also provides professional qualifications to teachers of Italian as a second and foreign language (DITALS). Unistrasi received the European Label for Languages nine times between 2004 and 2016. This award recognises the quality of linguistic projects designed by the Unistrasi, which give fresh impetus to language teaching and learning by means of innovative and effective teaching practices, raising awareness of the European cultural and linguistic heritage, and motivating individuals to embrace multilingual experiences throughout their lives. In 2015 the Language Centre has obtained the accreditation of EAQUALS (Evaluation and Accreditation of Quality in Language Services) – a mark of quality that recognises excellence in language teaching and ensures that teaching and training conforms to the highest international standards.